We want to feel our best and be able to live life to the fullest! We work hard, play hard, care for the people in our lives and require our bodies to perform a myriad of tasks and activities every day. Massage Idaho Falls was created to help you take charge of your physical and mental well-being by providing several types of massage and spa services. Once considered a luxury, therapeutic massage is increasingly earning a reputation as a valuable and essential tool for maintaining wellness in body and mind. It is gaining popularity in both the mainstream population as well as within the traditional healthcare community. The Massage Idaho Falls Clinic has qualified, professional massage therapists ready to serve you, whether you are looking for occasional pampering, or want to include regular therapeutic massage as part of your ongoing healthcare regime. There are many applications of healing massage. Our local massage experts at Ammon and Idaho Falls Massage are proficient at various types and techniques of therapeutic massage that can support your health and well being. One of the most common uses of therapeutic massage services is to relieve pain. Massage can be a natural pain reliever as it aids in circulation and increases blood flow to inflamed or injured tissues. This is important, because increased blood flow means increased oxygen and nutrients to affected areas. Massage also fosters muscle relaxation and increased flexibility. 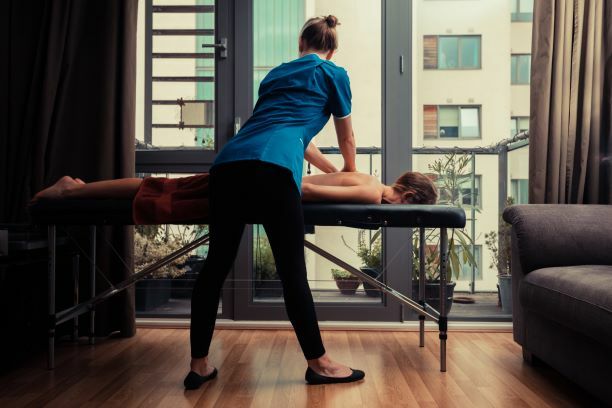 Athletes often use various massage services to aid in healing from sports injuries. 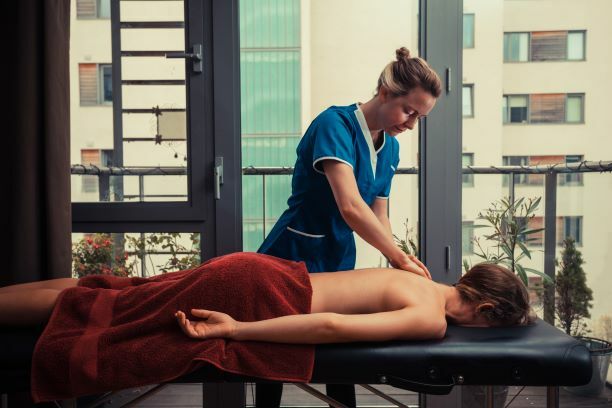 Many other people suffer from back injuries, chronic neck pain, and other injuries as well, and when applied by trained professionals, massage can be very beneficial as an aid in their healing and pain relief. In addition, those with chronic pain conditions such as arthritis, fibromyalgia, and lupus can testify to the restorative and relieving properties of various massage techniques. Migraine sufferers have also received many benefits from services provided by a trained massage therapist. Whether you suffer from remittent or regular sore muscles, stiffness, and head or body aches, or are dealing with rehabilitation after an injury or trauma, our staff at Idaho Falls Massage can help you! We live in a stressful world and the damaging effects of stress on our mind and body are well documented. While stress responses serve an essential function when we need to react to danger or other intense demands, prolonged stress affects every aspect of our health and is the unrecognized culprit of many of our ailments and personal challenges. It can cause changes in our behavior such as moodiness, poor judgment, and difficulty maintaining a healthy sleep schedule, among many others. Stress also effects or emotions and our minds and can contribute to anxiety, lack of focus and motivation, memory problems, irritability, and feeling a general sense of being overwhelmed or out of control. The damage that stress can do on our physical health is quite alarming, especially when the stress is prolonged and is not well managed. For example, stress can cause or contribute to stomach problems or indigestion, recurring colds or other common illnesses, skin problems, headaches, fatigue, muscle tension, and muscle pain. The long term affects are even more concerning. Stress has been linked to a suppressed immune system which can leave you vulnerable to any number of illnesses. Stress can also contribute to high blood pressure, heart attacks, stroke, weight gain and obesity, mental health problems and sexual dysfunction. Clearly, ameliorating or managing our stress should be a very high priority! The massage services we provide at Idaho Falls Massage Therapy can be a life changer in reducing the physical, emotional and mental effects of stress. It’s not difficult to understand how a relaxing, healing massage can help you relax! In fact, it may be the first thing you think of when you imagine receiving an expert massage. It just feels so good! You can literally feel your stress and tension melting away when a certified massage therapist is ministering to your needs. Your heart rate slows down, your tension eases, and you feel completely relaxed as the cares of the world drift disappear. The reasons for all those good feelings are more than meets the eye. Research has demonstrated a connection between massage and the production and release of “feel good” hormones such as dopamine and serotonin that the body naturally produces. Not only are these chemicals increased, but the level of the stress hormone cortisol is simultaneously reduced. A soothing, relaxing massage can be powerful! In fact, increasing levels of serotonin in the brain (a benefit of massage) is the purpose of many antidepressant medications. Many people also find that the healing touch of a professional massage therapist can be comforting. The human connection that it provides can be a lifeline in challenging times. The connection between relaxation and sleep is apparent to us all. How many times have you lain awake at night, fighting for sleep, when you realize that you are literally lying in your bed like a big ball of tension? When focusing on relaxing a particular muscle group such as in your neck and shoulders, you can feel yourself shift and loosen as you try to force those muscles to relax. Quality massage can help release that tension and increase relaxation, thereby aiding in achieving the essential sleep we are all seeking. Insomnia can be reduced, and the quality of our overall sleep increased. This is not only due to the release of tension we are holding in our bodies, but also because anxiety, stress, and pain can interfere with achieving a good night’s sleep as well. As all of those issues are also assisted by therapeutic massage, the resulted affect on achieving a consistently good night’s sleep can be remarkable. For some people however, it isn’t a matter of sleeping too little, but actually too much. When someone is experiencing mood disorders, intense and prolonged stress, or anxiety, prolonged sleeping is sometimes used as a coping mechanism. Massage can be a powerful tool, along with other supports and health care choices, for reducing the need for or habit of prolonged sleep. Our team of qualified massage therapists, at Idaho Falls Massage, can assist you in achieving the consistent, quality sleep that is so essential to health. Ask around, and you will note that not all massages or massage therapy practitioners are the same. You can find a vast spectrum of skills, experience, techniques, and education, when looking for quality massage services. Some things to consider are: is the masseuse licensed, registered, or certified? What training and experience do they have? Are they professional in conduct, as well as personable? Are they convenient and is the massage near me? A quality massage therapist should be credentialed, experienced and be very skilled at helping you feel at ease and comfortable. The experience of getting a massage should be positive, stress-free, and very beneficial to your body as well as your mind. If you are looking for a Massage therapy and Spa in the greater Idaho Falls or Ammon, Idaho area, please come in and allow us to earn your business and your trust. All of our massage therapy practitioners are skilled, professional, and ready to assist your healing, comfort and health. Most people have some questions they want answered before scheduling their massage. How much? How long? How naked do I have to be? Let us put your mind at ease. Each person is unique and their goals for their massage experience will be too. There are several different types of massages. Learn more, and discover the one most likely to be perfect for your preferences and needs. Or why not try them all and let us know what you think! This is a stressful world and proactively managing the effects of stress on your body is an important part of taking care of ourselves. Here are some tried and true relaxation techniques that can help us rid ourselves of tension and daily stress. Stretching exercises have proven to have unparalleled physical benefits. Stretching is also the perfect complement to massage treatments. It only takes a minute and feels phenomenal. Find out more! ​What if I’m in pain? This is the most common reason people seek massage therapy, and for good reason! For most people, massage therapy is a wonderful complement to their current healthcare practices. Different massage techniques address different types of pain. Find out if massage therapy can help you manage or reduce your pain.